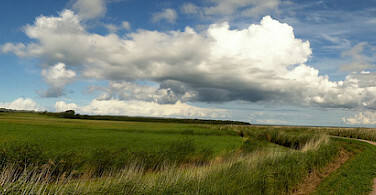 Coastal biking in Northern Germany! The bike route along the coast of the Baltic Sea has been popular in Europe for decades - incorporating attractive seaside resorts, cozy inlets and peninsulas, curving coastline, lush fields of green and wide sandy beaches along peaceful bike paths. 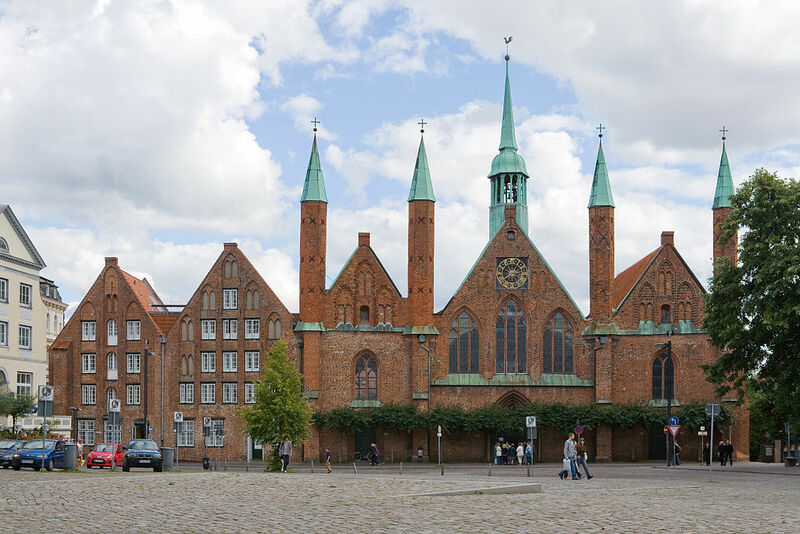 The tour starts in the old Hanseatic capital city of Lübeck, which became a World Heritage Site due to its spectacular Brick Gothic architecture. 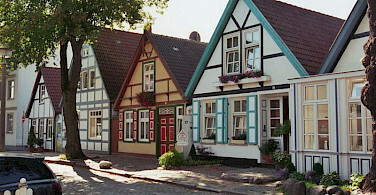 The historic centers of Wismar and Stralsund are also UNESCO World Heritage Sites. 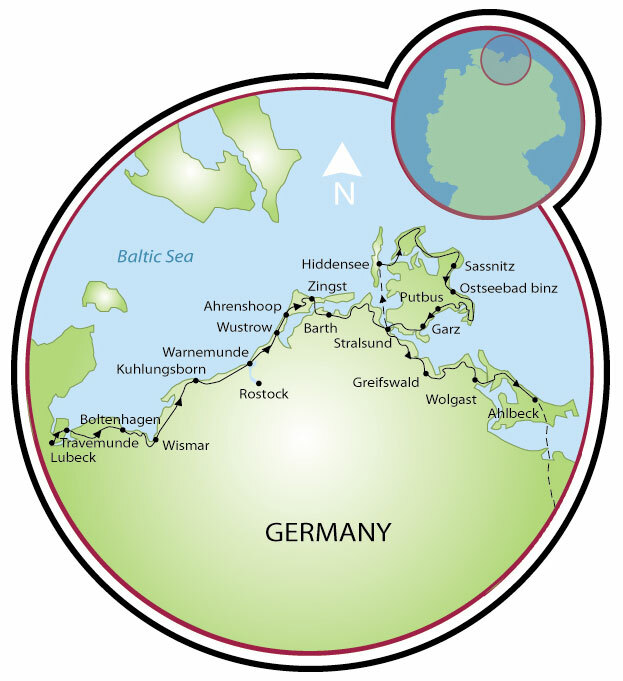 The "Baltic Bike Trail" itself officially starts in Travemünde. The route will ride through the peaceful landscape of Kluetzer Winkel, along cliffs and stretches of sandy beaches touching the Bay of Wismar to the old Hanseatic town of Wismar, home of Germany’s largest marketplace. 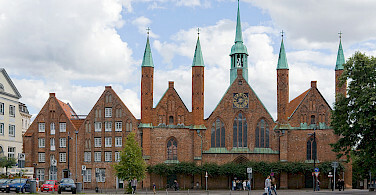 Architecturally, Wismar’s style ranges from 14th century North German Gothic (e.g. Alter Schwede) to 19th century Romanesque. 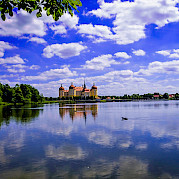 The past glory of this trading town is evident in its ornate buildings, which make it one of the nicest in the Mecklenburg-West Pomeranian region. 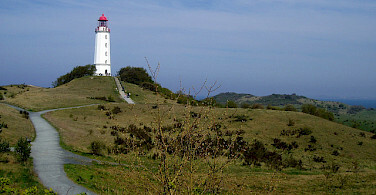 The route will next ride along flatland following the coast to the scenic seaside resort of Warnemünde (with an old lighthouse by the beach promenade), which is not far from Rostock, a medieval city with a large fishing fleet. In addition to the romantic coastline, you will ride past lakes and through forests, such as the forest of Darßer Urwald, as well as a nature reserve park. Well before reaching Stralsund, you will be able to recognize it by its three church towers. The city was also enriched through the Hanseatic League, and contains several medieval gates as well as the great 13th-14th century Church of St Nicholas and 13th century Gothic Town Hall in the Old Market Square. 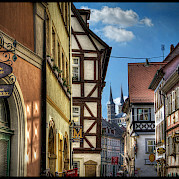 It is also listed as a UNESCO World Heritage Site because of its Brick Gothic historic town center. Want to see more bike tours in Germany? The largest international airport to your tour start and end is Berlin. Berlin is located 284 km from Lubeck, the start of your tour. Second largest international airport is Hamburg. Closest international airport to the end of your tour in Straslund is Berlin. Train from Berlin airport to Lübeck, ± 3½ hours with 2 or 3 transfers. 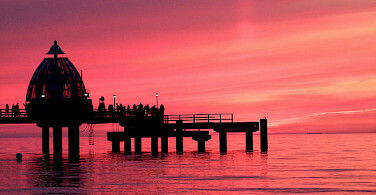 Train from Hamburg to Lubeck ± 1 ½ with 1 or 2 transfers. At the end of your tour, train from Stalsund to Berlin is ± 3½ hours with 2 or 3 transfers. To travel to Hamburg airport it is longer, from ±4½ to 5½ with 2, 3, or 4 transfers. The average high temperature in °F for the area is 58° for May, 64° June, 68° July, 69° Aug° & 63° Sep. Length of tour can vary to your liking. This tour is also available as a 6 day / 5 night tour from Lübeck to Stralsund, or 5 day / 4 night Rostock to Stralsund. See Pricing. Option 1: Nice, comfortable 2 and 3-star hotels and B&Bs. Option 2: Hotels and B&B’s of the 3 and 4-star category. Close out dates: *August 5th through 8th, 2019, not possible due to Hanse Sail event in Rostock! Easy self-guided hotel tour with mostly flat terrain and average daily distances of 26 miles. Individual arrival into Lübeck. This town has a charming old town center (dominated by seven church steeples) perfect for an evening stroll. The oldest churches (the Dom and Marienkirche) are from the 13th and 14th centuries. 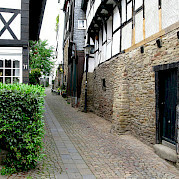 The town has retained its medieval atmosphere complete with narrow streets and four town gates, of which the Holstentor (1478) is the best known. Situated on the Trave River, Lübeck has the largest German port on the Baltic Sea. You leave Lübeck on a short trip to Travemünde. You can do this 20 km trek either by bike or by train. 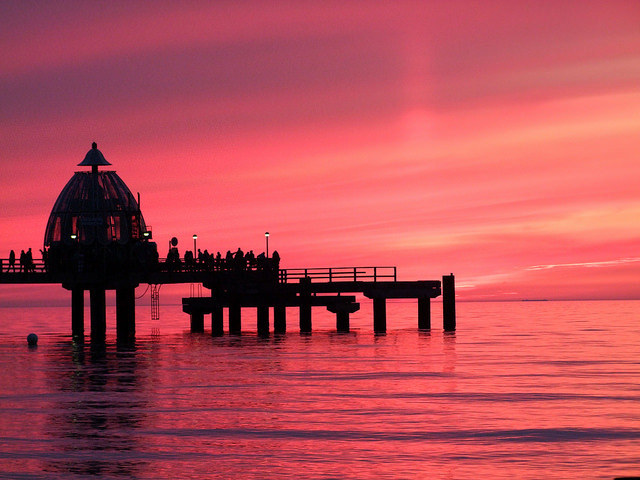 Travemünde is a traditional Baltic seaside resort, where you start the "Baltic Bike Trail". 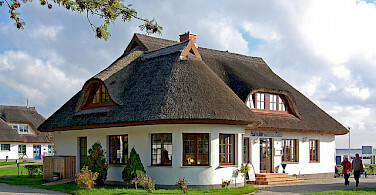 You'll sail to Priwall and then ride through the peaceful landscape of Kluetzer Winkel to the seaside town of Boltenhagen. Along cliffs and small beaches, you'll leisurely move along the Wismarer Bucht to the old Hanse town Wismar. 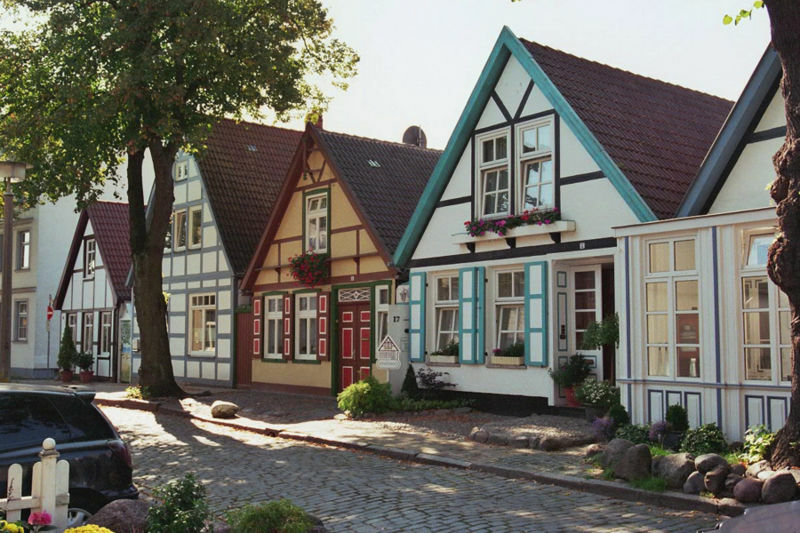 This charming town has impressive architecture that represents the strength and glory of the old Hanseatic period and is certainly one of the nicest towns in the Mecklenburg - West Pomerania region. The historic part of Wismar was largely untouched during the attacks of WWII, so a bit of sightseeing is in order. 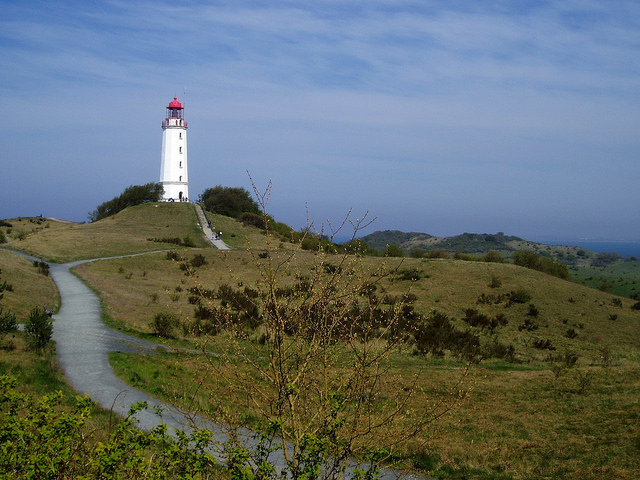 Along the Kühlung, a richly forested and and hilly landscape, you'll cycle on to Kühlungsborn. Via the flat landscape of the Baltic coast, your cycling adventure will continue to Warnemünde, a seaside town not far from Rostock. 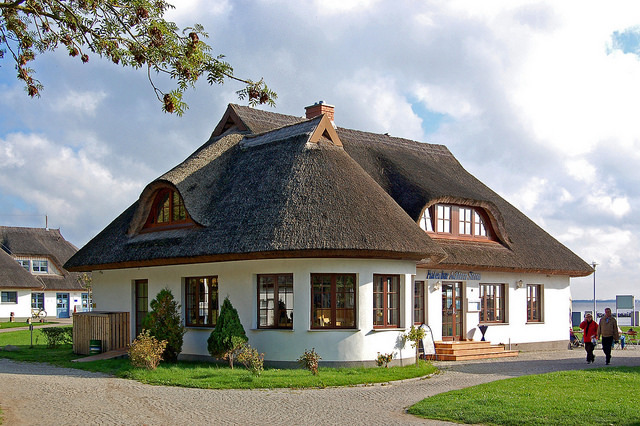 If you like, you can take a detour to Bad Doberan, where you have the option of visiting the Train Museum "Molli" and then cycle leisurely to Warnemünde through the backlands. You'll start the morning in Warnemünde, where the Warnow River spills out into the Baltic Sea. If you like, go for a stroll along the "Old Stream", where old fishing boats come together with tall new sailing ships. Along the Hochuferweg, you will ride on to Wustrow and the artist's colony of Ahrenshoop before finally making your way to today's destination of Darß. Today's journey will take you across the Darßer Urwald Forest to the village of Prerow. A trip to the west coast of Prerow is a must. You can find a romantic beach and maybe some amber. You'll next ride through the Vorpommersche Boddenlandschaft National Park, which contains some important nesting grounds for cranes and grey gooses. The day will end in Barth. 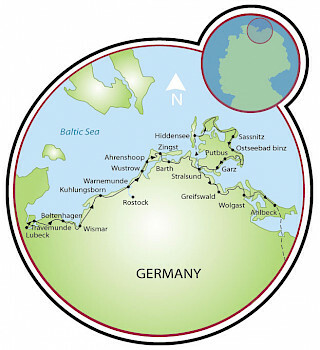 You'll leave Barth behind along the bay to cycle to Stralsund. Even from a distance, you'll be able to discern the old Hanse town by its 3 tall church towers. This tour is run by Die Mecklenburger Radtour. The Baltic Sea cycle was one of our best cycle experiences with magnificent forest, sea and landscape. Tripsite took care of everything including The Weather. It was the German Riviera with the most beautiful towns in which we stayed from Lubeck to Stralsund. Thank you Tripsite and your wonderful staff. Our group of 11 cyclists took this tour in May 2009. We have taken some 8 European tours, and somehow this was the most memorable. It has s great combination of scdenery and historic sites. Our weather was perfect. Flying in and out of Berlin is handy. Hennie has cycled this route herself, so she knows it well! Pack and Pedal's service is, as usual, excellent.